Ice Bears goaltender Michael Doan records first pro shutout with a 34 save performance. 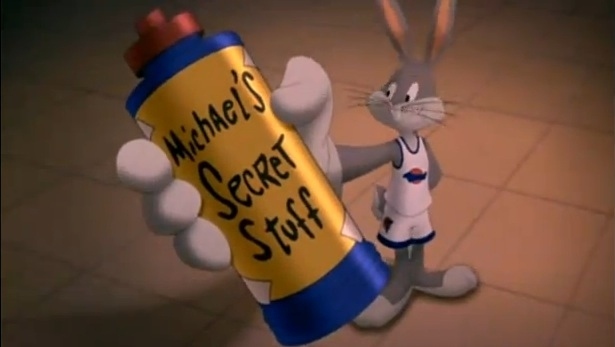 SOUTHAVEN, MS — In the 1996 sports movie Space Jam, an underdog team of classic cartoon characters overcame insurmountable odds with the help of NBA Hall-of-Famer Michael Jordan. Unfortunately, for the Mississippi RiverKings, donning special TuneSquad-styled jerseys, reality is a cruel mistress. The Monstars… I mean… the Knoxville Ice Bears, despite giving the Kings eight power plays, blanked the Kings in goaltender Michael Doan‘s first professional shutout in a 3-0 decision. The game, our first SPHL Game of the Month, selected by fan voting, started slowly. Mississippi was unable to generate scoring chances despite an effective deep forecheck game. The Ice Bears got clogged up in the neutral zone early but began to use speed rushes into the zone as the game progressed. The opening act ends without any major plot developments, with neither team able to impose their will on the forecheck. Penalties and special teams play dominated throughout the game, with the Ice Bears – the league’s most-penalized team – committing eight penalties to Mississippi’s three. However, Knoxville’s penalty kill – now at 95.0% – rendered the Kings’ power play moot. In Space Jam, the Monstars opened up a huge lead over the TuneSquad in the first half of their game. The Ice Bears spent the second period opening up a huge lead of their own. Knoxville’s first goal came courtesy of their penalty kill, with Doug Reid scoring on a wrist shot from the right circle. The RiverKings spiraled for the next few minutes, giving up two more goals in a 1:47 span – one by John Clewlow and another by Trever Hertz. Clewlow’s tally came off a deflection from rookie Travis Jeke‘s shot from the blue line, while Hertz scored thanks to a two-on-one feed from Luke Sandler. Fiction gave way to reality in the third period. The TuneSquad mounted a furious comeback and defeated the Monstars at the last second of Space Jam. The RiverKings would be denied the storybook Hollywood ending. Mississippi had plenty of opportunities, out-shooting Knoxville 12-7 in the final act and the Ice Bears giving the RiverKings three additional power plays to work with, Bears’ rookie netminder Michael Doan made 34 saves to keep his sheet clean for his first professional shutout. The Kings actually did manage to slip one past the goaltender… but it was waved off on account of goaltender interference. Mississippi’s record slipped to an even 3-3-0 while the Ice Bears kept pace with the Huntsville Havoc for the SPHL’s top record at 5-1-0. Knoxville returns to the ice on Thursday, November 10th, against Roanoke. The RiverKings host the Fayetteville FireAntz for a weekend set beginning Friday, November 11th. Huntsville Havoc 3, Roanoke Rail Yard Dawgs 2 (OT) – Tyler Gjurich scored two goals in a little more than two minutes in period #2, but the Havoc came back with a Nolan Huysmans third-period marker to force overtime. Dylan Nowakowski provided the bonus hockey heroics for Huntsville and the Havoc made their second defense of the SPHL Title Belt. Columbus Cottonmouths 2, Fayetteville FireAntz 0 – Lukas Hafner, brother of former Snakes defenseman Rusty Hafner, notched his first professional shutout as Columbus rebounded from a shutout loss at Huntsville the night before. Spencer Galbraith scored in the first period, with Derek Gingera (brother of Matt) ringing up a third-period insurance goal. Macon Mayhem 4, Evansville Thunderbolts 3 – The Bolts scored first for the sixth time in their seven-game existence. John Scorcia‘s first-period goal once again put Evansville up early in a hockey game, but the second period proved to be the Bolts’ undoing. Macon scored three times in the middle frame and extended their lead to two goals in the third period. The Thunderbolts cut their deficit to one with goalie Tyler Parks pulled for a sixth skater but could not tie the game. Adding injury to insult, Scorcia was carted off the ice for medical attention in the third period. No word released as to Scorcia’s condition. Peoria Rivermen 3, Pensacola Ice Flyers 2 (OT) – The Ice Flyers came close to evening their weekend set against the Rivermen. Leading for most of the game thanks to goals from Jesse Stoughton and Corey Banfield, Pensacola almost left Carver Arena with a two-game split with their northern rivals. Rivermen defenseman Christian Weidauer, however, had overtime on his mind. Weidauer’s game-tying goal with 2:52 remaining in regulation led to an overtime assist on the game-winning feed from Jake Hauswirth to Dmitri Ognev. The defending President’s Cup champs are off to a 1-3-2 start.